Six months after the peak in sales comes the annual peak in warranty expenses. And while some companies take a pay-as-you-go approach, others have mastered the annual cycle to such an extent that their accrual rates hardly budge from one season to the next. In the last week before summer begins for our northern readers, our thoughts turn to the outdoors, and the warranty expenses of all the equipment used to care for lawns and crops. And as one would expect, the rise and fall of these warranty expenses is heavily dependent upon the seasons. The spring is dominated by product sales, while the fall is dominated by product repairs. And those two cycles are so completely out of phase that it makes a graph of the ratio between warranty expenses and product revenue resemble an alternating current -- switching from peaks to valleys every six months or so. With landscaping and agricultural equipment, the seasonal fluctuation is to be expected. The same goes for sales and repairs of items such as motorcycles and recreational vehicles -- even snowmobiles have a season. 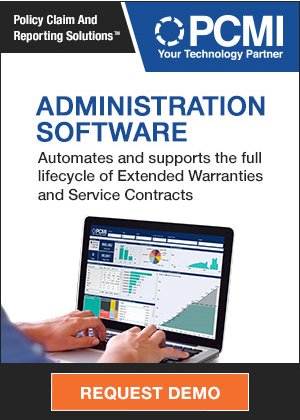 Back in May, we saw that there are also some unexpected seasonal fluctuations in warranty, in markets such as medical and scientific equipment, which is tied to the back-to-school calendar. But for any industry, the management of warranties in a highly seasonal environment calls for additional skills (and patience). The whole reason that companies accrue for warranty is to help flatten out the expense rate. You set some funds aside when a product is sold, so the money is there when it eventually needs warranty work. So you have to make a realistic forecast of a product's lifetime warranty cost at the outset, or else you'll be chasing the seasons up and down all year. We began with a list of 37 current and former manufacturers of agricultural and lawn care equipment -- everything from the fertilizer spreaders used on farms to the lawn mowers used on golf courses. Of course we're including the commercial farm machinery of AGCO Corp. and Deere & Co. But we're also including the lawn mowers and gardening tools made by Toro Co., Briggs & Stratton Corp., and Stanley Black & Decker Inc.
Of course, that means there is going to be overlap with numerous other industrial sectors that we've covered in previous newsletters. Textron Inc., which we counted back in May as an aircraft manufacturer, is making a repeat appearance this week as the manufacturer of Jacobsen lawn care equipment. And some of the same machinery sold by Caterpillar Inc. for construction and mining applications is also used in agriculture. Since all these dual-use machinery makers report their warranty expenses only once, that means the data we present this week is going to include some money spent outside the farm and lawn category. And since some of these companies are diversified worldwide, the data is going to include some money spent on warranties outside the U.S. The reason we mention this is because the data in Figures 1 through 3 could otherwise make the category seem much larger than it is. In Figure 1, we're suggesting that these 37 manufacturers spent upwards of $2 billion per year on warranty claims during each of the last six years. Clearly, that money wasn't all spent on lawn mowers and outdoor power tools. For these 37 farm and lawn equipment companies, claims were up almost 5% in 2012, to $2.18 billion. It was the second consecutive year in which claims rose, following two years of declines from 2008 to 2010. The bottom of the recessionary trough came in 2010, but even so, the total remained above $2 billion. Among the largest manufacturers in this category, Stanley Black & Decker saw a 10% decline in claims payments while Briggs & Stratton saw a 5% decline. At the other end of the spectrum, AGCO saw a 13% rise in claims payments while Deere saw a 12% increase. The underlying reason, we hope, for the declines is improved product reliability, while the reason, we hope, for the increases in outlays is rising sales. It doesn't always work out that way, but that's what we hope for. There was an overall 9.4% increase in sales reported by these manufacturers from 2011 to 2012, but it wasn't felt by all. Among our 37 farm and lawn equipment companies, more than six-in-ten saw sales increases last year. Among the largest, Stanley Black & Decker and Briggs & Stratton were among those that saw small sales declines. But Deere and AGCO both saw 14% sales increases, while Toro was up 4%. Sales are much more tightly coupled to warranty accruals, however, because the amount a company sets aside as an accrual for a given product is determined at the time of its sale. The amount to be spent on warranty work won't become apparent until the product has been in use for some time. So it's conceivable that most of the claims paid in 2012 were for products sold in 2011 or before. That won't be the case with accruals. Most if not all of the accruals reported in 2012 were for products actually sold in 2012. Accruals should rise and fall in step with sales, unless there has been a change in product reliability or repair cost. When accruals rise faster than sales, something's wrong. When accruals rise slower than sales, or fall by more than sales, it's a good thing. Of the top eight manufacturers of farm and lawn equipment, we're happy to report that seven saw 1) greater increases in sales than accruals, 2) increasing sales rates coupled with declining accrual rates, or 3) greater declines in accruals than in sales. For instance, Caterpillar saw a 10% rise in sales and a 9% decline in accruals. AGCO saw a 14% rise in sales and a 5% decline in accruals. Deere saw a 14% rise in sales and no change in accruals. Toro saw a 4% increase in sales and a 4% decline in accruals. Briggs & Stratton saw an 11% decline in sales but an 18% decline in accruals. The only one of the eight largest warranty providers in this category that saw the opposite trend was Textron. Its sales were up 8%, but its accruals were up 14%, causing its accrual rate to rise. However, given its diverse product line, it's unlikely that the accruals rose solely because of problems with lawn equipment. As can be seen in Figure 2, there was an overall decrease in accruals last year, from $2.58 billion in 2011 to $2.46 billion in 2012. That this happened alongside a 9.4% rise in farm and lawn equipment sales suggests there's been an increase in product reliability and/or a decrease in average repair costs. The biggest change came in 2010-2011, when accruals jumped by 27%. In 2008-2009, however, accruals fell by 24%, and slipped below the $2 billion level for the first time since 2006. That year, the major cause for the decline in accruals was declining sales. This year, however, we think the major reason for the decline is improving product reliability. The reason for this optimism can be found in Figure 4, but there's also a clue in Figure 3. The year-ending balance in the warranty reserve funds of these 37 farm and lawn equipment suppliers has risen every year except from 2008 to 2009. But in the last two years, it has risen quite significantly -- some might say unnecessarily. What the data is telling us is that manufacturers set aside more than they ended up spending, so the balance rose. They accrued more than they should have, because claims turned out to be not as much as they predicted. Now, they have a lot more left over than they expected, and warranty reserves are at a record high of $3.4 billion. Perhaps as 2013 continues, those manufacturers will begin to reduce their reserves by moving some of those excess accruals to the bottom line. Textron, for instance, saw an 8% rise in sales but chose to increase its accruals by 14% last year. Unless there's a sustained increase in warranty claims, some of that increase is going to turn out to be unneeded. In Figure 4, we've taken the claims and accrual data from Figures 1 and 2 and divided it by product sales totals. And the trend here is unmistakable: warranty expense rates dipped to their lowest levels ever in 2012. In the second quarter of 2012, the claims rate dipped to 1.4% while the accrual rate dipped to 1.6%. While they've both risen since, they're still below the long-term average. Note that because all of the manufacturers have by now released their financial reports for the first quarter of 2013, we're including an extra column of data in the chart above. However, some of the individual companies are on a slightly different fiscal year schedule, in which their quarters end in January, April, July and October. With these companies, we're already collecting the second quarterly reports of their fiscal years. For instance, Deere recently released a quarterly report covering the months of February, March and April. Back in February, it released a quarterly report covering the months of November, December, and January. In Figure 5, we're tabulating the warranty expenses of these two quarters in the columns for the first and second quarters of 2013. And there's a total of 42 pairs of data points for the past 10-1/2 years. Notice the extreme seasonal fluctuation of the data for Deere. Every year, warranty expenses soar in the first quarter and dive in the second quarter. The reason, we think, can be found in the seasons themselves. Deere's first quarter comes after the end of the harvest season, when equipment is being repaired and packed away for the winter. Its second quarter comes as planting begins, and old equipment is replaced. There are, however, two instances where accruals rose far higher than claims. In early 2011 and again in early 2013, Deere's accrual rate rose above three percent. But its claims rate never rose above 2.5%. And indeed, as the planting season began in 2012, Deere's claims rate hit a new low of 1.3%. Of course, the seasonal fluctuation in the claims rate is unavoidable with a product line so closely tied to the weather. Customers are going to buy their new equipment early in the year and get it repaired later. And since the claims rate is calculated by dividing sales into claims, the rate is going to be highest when the weather is coldest, and sales are the slowest. However, the same thing shouldn't happen with the accrual rate. The accruals for a tractor sold in December should be the same as for a tractor sold in July. In other words, the accrual rate should be level, except if there's been a change in product reliability or repair cost. The best example we can find of this can be seen in Figure 6. Toro, which makes a wide range of lawn care equipment, has a claims rate that is closely tied to the growing season. And so, its claims rate bounces up and down throughout the year, as can be seen in the shape of the red line in the chart below. However, look at the shape of the green line. In contrast to its claims rate, Toro keeps its accrual rate about the same throughout the year. While the company's claims rate can rise and fall by one percent or more within six months, its accrual rate rarely changes by more than a tenth of a percentage point from one quarter to the next. It's a sure sign that Toro's accruals are closely tied to product sales, while its claims are at the mercy of the calendar. This also suggests that Toro makes highly accurate forecasts of its warranty expense before a product is sold, and makes adequate accruals at the time a product is sold. Most companies say they do it this way, even if they don't. With Toro, they do what they say. There's another trend in the Toro data worth celebrating. Over time, the company has seen both its claims and accrual rates decline. Because of the alternating current of the claims rates, it's a little hard to see the decline. But with its accrual rate, the trend is much more visible. Back in 2003 and 2004, Toro spent upwards of 2.5% of its product revenue on warranty expenses. In the years since, it's slowly but steadily declined. From 2011 to 2013, in fact, the company saw its claims rate dip as low as 1.1% while its accrual rate flirted with the two percent level. Those are sure signs that product reliability is rising, repair costs are falling, and warranty expenses are declining over time. Besides lawn care equipment, Toro also makes lawn and farm irrigation equipment, as well as some snow removal equipment for the winter months. And like Toro, Briggs & Stratton's warranty expense rates also follow the seasons, with some notable differences. Briggs & Stratton is more a maker of the small engines used in a wide variety of outdoor power equipment, including, on occasion, the engines used in some of the lawn mowers sold by Toro. But under its own brand name, Briggs & Stratton is better-known for its generators and pressure washing systems. In Figure 7, we can see that Briggs & Stratton shows a seasonal pattern for both its claims and accrual rates. In fact, the pattern is more obvious than even Deere's data in Figure 5. For Briggs & Stratton, whenever claims rise, so do accruals. Whenever claims fall, so do accruals. The only breaks in this pattern occurred in 2005 and 2011. Notice also that Briggs & Stratton saw its claims rate soar in 2007, followed by a massive increase in accruals. That, we believe, was caused by a recall of snow thrower engines, the cost of which was felt primarily in the second quarter of the company's fiscal year, which covered the months of October, November, and December 2007. By 2008, warranty expense rates were back to normal. And indeed, that was also the only year in which the claims rate didn't bounce higher in the fall and winter months. It's as if some of the 2008 claims were time-shifted back to 2007. Finally, let's take a look at AGCO, which is by far the one company on our list whose product line is most focused on agricultural equipment. One might think its name comes from a combination and shortening of the words agricultural and company, but it actually is a combination of its Allis and Gleaner brand names. In Figure 8, what we don't see is any noticeable seasonal pattern in the data. But what we do see is a claims rate that has never been lower, and an accrual rate that was lower only twice before (in 2008 and 2012). AGCO is on a fiscal year that matches the calendar year, so what we're seeing in Figure 8 is a claims rate that fell to 1.2% during the cold months. That shouldn't happen, but it did. In 2008, 2010, and 2012, AGCO's claims rate dipped when it should have: in the spring, when new equipment sales are peaking. Meanwhile, in 2005, 2009, and again in 2012, AGCO's claims rate rose in the fall, when that equipment was being cleaned and packed away. But how can we call that a seasonal pattern when we can look back at Deere and Toro and see a claims rate that is really driven by the seasons? AGCO isn't as resolute as Toro with its accrual rate, letting it drop in 2008 after claims fell and letting it rise in 2010 after claims rose. The company probably should have kept its accrual rate closer to the 2.2% average seen in 2003-2007. However, ACGO's accrual rate in 2012-2013 has remained as low as it was in 2008-2009. And the good news is that claims are once again at low levels. In fact, the company's claims rate is in the fourth year of decline from the high rate seen in mid-2009. And given that the new record low was seen in the first quarter of this year, it will be interesting to see what happens to rates in the second and third quarters of this growing season. Overall, the seasonal pattern is predictable, given each company's dependence on the seasons. But what's notable is how from one year to the next, each company is reducing its expense rates. That pattern is most obvious with Toro. But though it's not as apparent for some of the others, it's also present. For instance, Briggs & Stratton reduced its accruals by more than $6.5 million in 2012. Stanley Black & Decker and AGCO each cut their accruals by more than $10 million last year. Caterpillar cut its accruals by $110 million in 2012, and did so despite a 10% increase in sales. In other words, each company is predicting that the equipment it sells in 2012 will need fewer repairs in 2013 and will cost less to fix than equipment sold in previous years. On a combined basis, as can be seen in Figure 4, the U.S.-based makers of farm and lawn care equipment saw their lowest-ever warranty expense rates in 2012. And while the cold-month data shows those expense rates rising in early 2013, the seasonal pattern seen in previous years suggests that those rates will decline again as the current year continues. Pellenc extends hedge trimmer warranty in the UK. Nissan announces battery replacement program for Leaf electric cars. The Global Warranty Group wins a Silver Stevie Award. PowerGuard launches solar panel warranty verification portal. Automakers can reduce warranty costs with cloud-based analytics. HP Australia settles product warranty court case with the ACCC. Samsung Canada opens first walk-in service center in Ontario. Cross Country Home Services wins two Silver Stevie Awards. The Warranty Group takes over the Comet ExtraCare complaints team in the UK. Chrysler cites roughly 60 percent improvement in warranty rates. Infigen Energy and Gamesa Wind US settled their warranty dispute. Pricey home warranties don't always provide peace of mind. Service Line Warranties sends Las Vegas homeowners a solicitation letter. Tata offers promotional 4-yr/150,000-km warranty on CNG Plus engines. CRM systems must have the capacity to manage warranties. SGS presents webinar on "US Dealer Satisfaction in the Auto Industry" on June 25. HSA Home Warranty featured on cable TV program "Designing Spaces." Australian Consumer Law warranty documentation feedback. NSW Fair Trading warns consumers to check product warranties. Kansas City manager urges residents to buy warranty for water and sewer lines. Samsung India withdraws global warranty for TVs bought in UAE. Ontario must update New Homes Warranties Act and reform Tarion. What's the difference between homeowner's insurance and a home warranty? Honda cuts prices and extends hybrid battery warranty in Malaysia. Apple updates warranty policies in Belgium, France, and Germany. Oil Firing Technical Assoc. wants installers to offer workmanship warranties. Nissan expands Leaf battery warranty coverage in Europe. Auto OEMs significantly reduce the cost of warranties on their vehicles. Agilent Technologies announces compliance with EU RoHS Directive. Navistar says higher pre-existing warranty adjustments caused net loss. Rules and exceptions to product warranties. Fuel mixes void some warranties. Harvard Business Review says Consumer Reports is wrong on extended warranties. Home warranty plans: A small fee upfront could be priceless down the road. Some extended warranties just won't cut it. Product Cycler keeps track of purchase dates and warranties. DuraVac offers free service contract with new central vacuum system installations. PCMI offers a new modular Policy Claim and Reporting Solution. Carchex to provide extended warranties to NEA Member Benefits Corp.
Warranty Direct launches car ownership survey. How small businesses can unravel the extended warranty conundrum. WCM 2014 issues call for papers; abstracts due by Sept. 30. Security researcher checks the warranty status of Bradley Manning's Dell laptop. REI drops lifetime warranty; returns now must be made within a year of purchase. Locke Lord schedules webinar on extended warranties & sales tax for June 19. Cross Country Home Services wins CIO magazine award. Warranty program raises questions among city water customers. Refocusing on extended warranties could save Best Buy. Daily Mail offers Warranty Direct service contracts to readers. Global Warranty Group signs Delta Wave Communications for an extended warranty program.